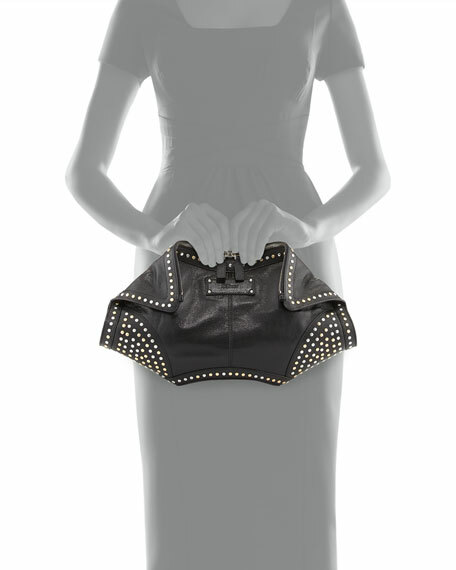 Studded calfskin shapes a distinctive frame for this fold-detailed Alexander McQueen De-Manta clutch, named after the manta ray, with which it shares a hexagonal shape. 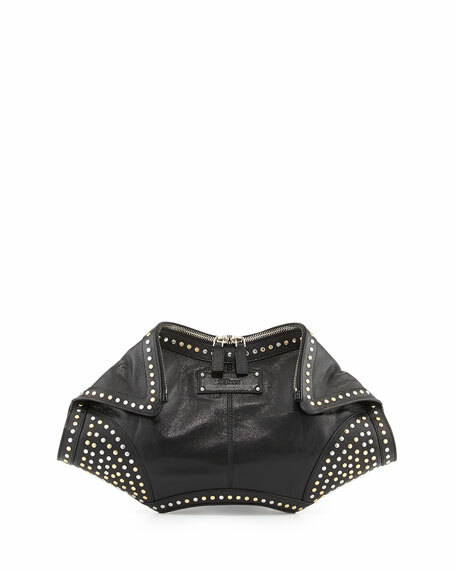 Alexander McQueen studded calfskin leather clutch. Golden and silver flat studs. Two-way top zip; fold-over front corners. 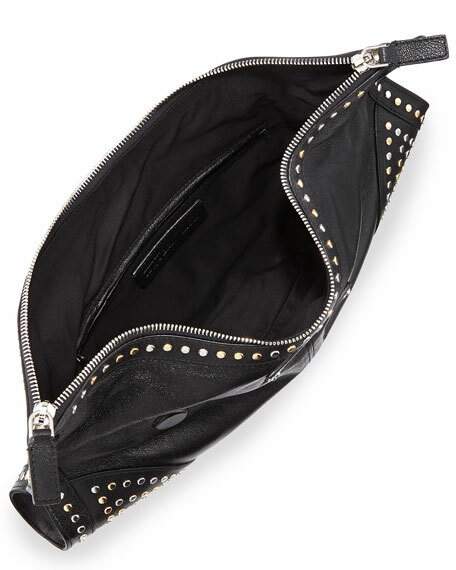 Interior zip pocket; fabric lining. 8"H x 15"W x 2"D; bag weighs 14oz. For in-store inquiries, use sku #221167.